Click to view all 9 images. 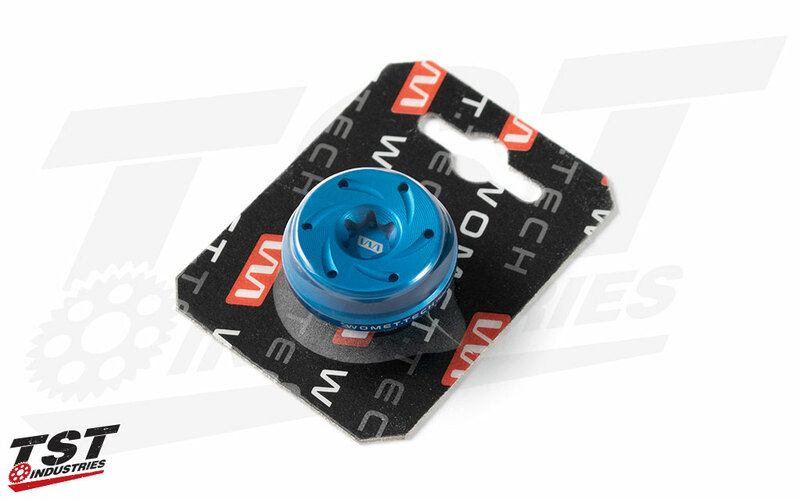 Give your engine some style and make race prep a little easier with the anodized Womet-Tech Oil Filler Cap. 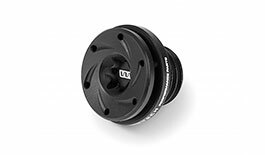 This unique CNC machined cap is available in 5 different colors and is pre-drilled for race safety wire. 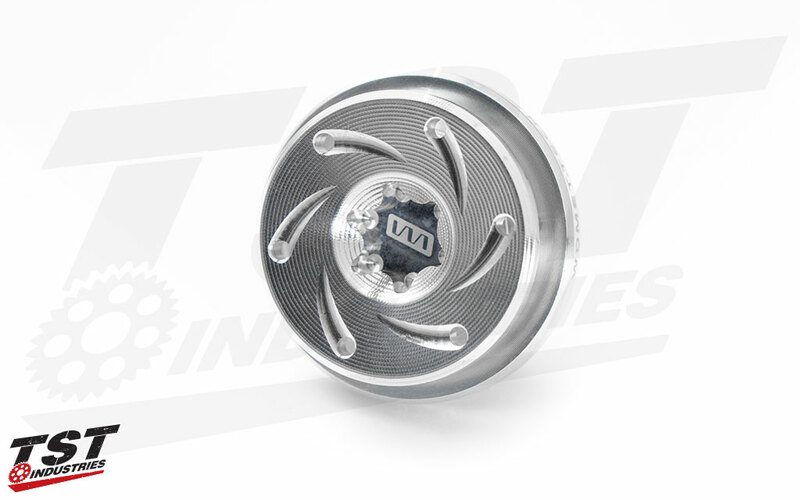 This product is part of our Worx Program! 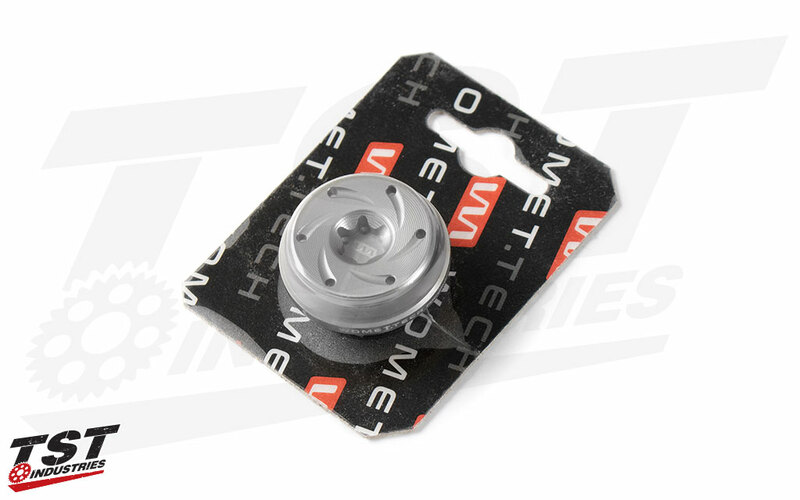 Womet-Tech recently changed their logo, which may or may not be represented in the product branding of this item. The logo on the part and packaging may have changed, but you're getting the same high quality products as before. 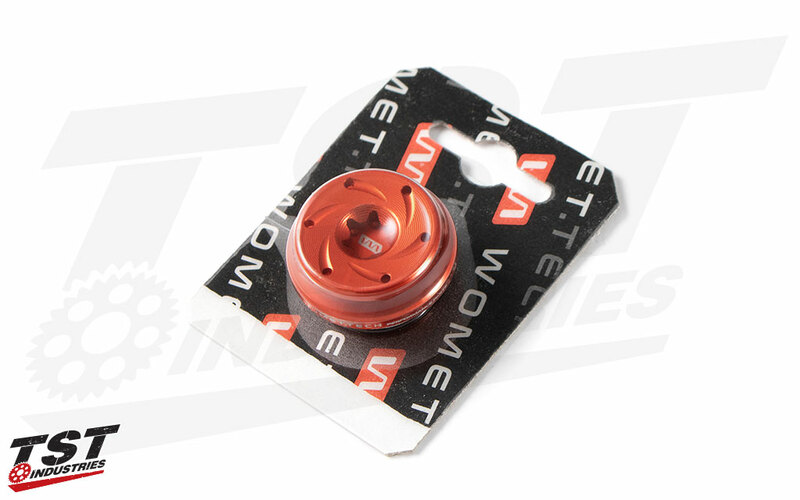 Add some style while also making race day preparations a little bit easier with the pre-drilled Womet-Tech Oil Filler Cap. 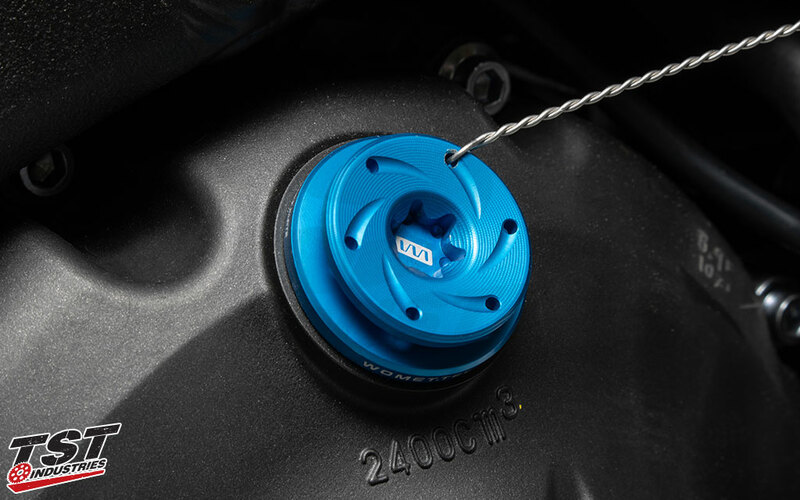 Available in five different colors, this oil filler cap features a durable anodized finish that is sure to look loads better than the standard stock black plastic cap. Ditch the boring cap and upgrade to a cap worthy of being on the track. 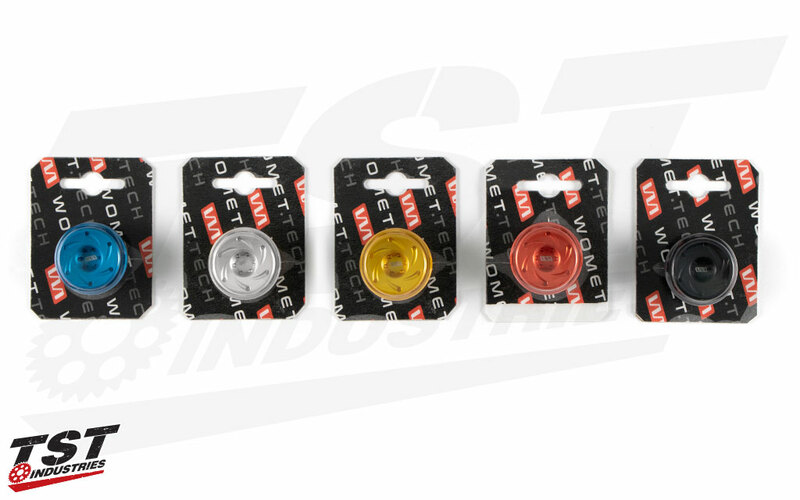 Womet-Tech is a European design house and manufacturer of crash protectors, adjusters, controls, and hardware for today's sport machines. Their designs are unique, functional, and based on real racetrack R&D. 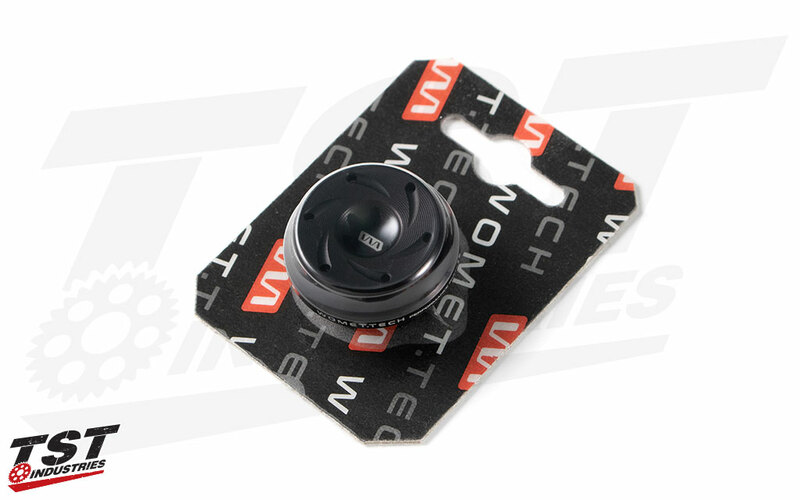 TST Industries is an exclusive Dealer for Womet-Tech in the United States. 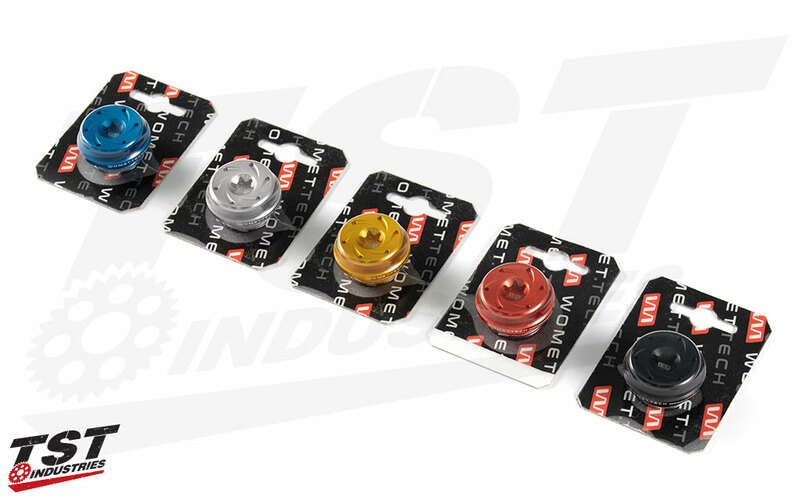 You can trust these components to be designed and tested for optimum performance. Womet-Tech engineers, along with their factory race team and sponsored riders, developed a product line that has passed rigorous track and crash testing.